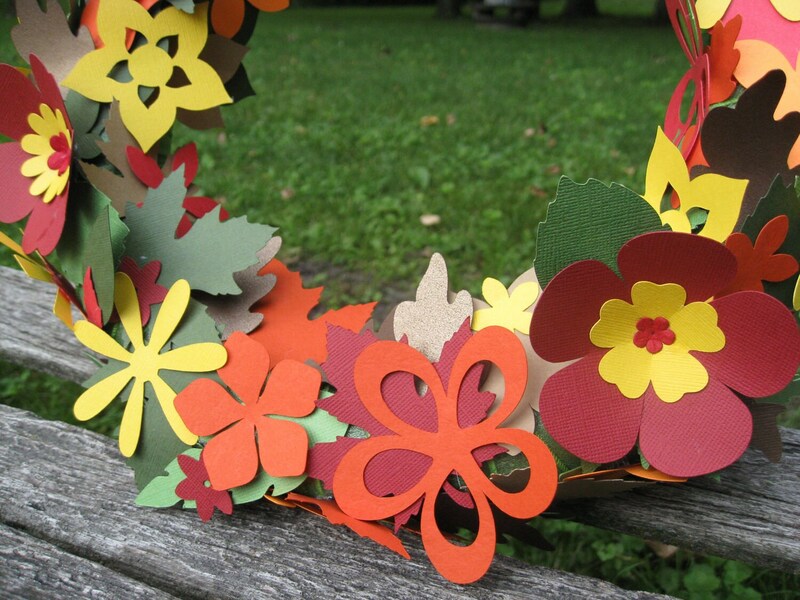 Custom Paper Wreath, CHOOSE YOUR COLORS. 12 inch. Wall, Room , Door Decor. Custom Orders Welcome. 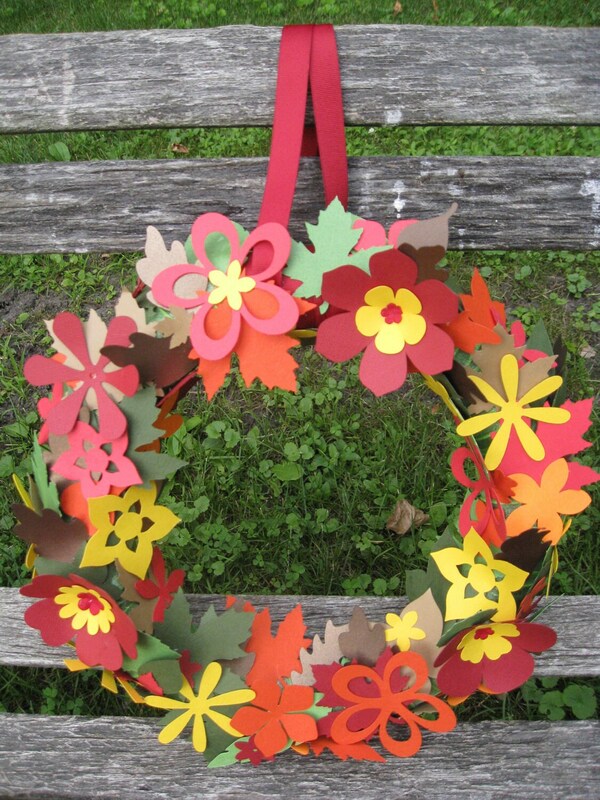 This listing is for a custom wreath, in your choice of colors. I can do them in ANY COLORS that you would like. 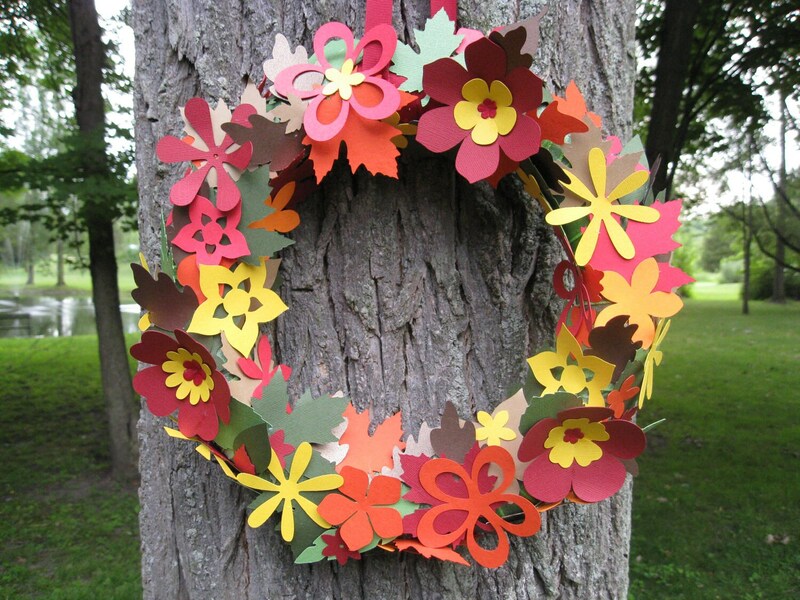 Each wreath has tons of different shaped flowers and leaves. 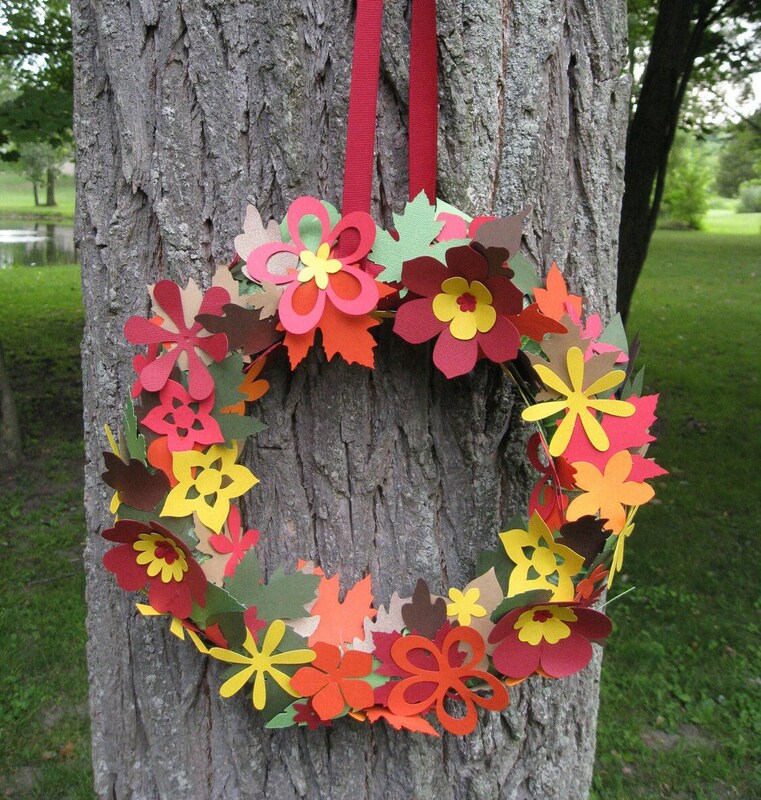 The wreath will be on a round 12" frame and has a ribbon for hanging. (***The wreath above has already been sold. It is just an example.) They are very lightweight and can be hung against a wall or from a door. I do recommend hanging them on porch with an overhang, as the decorations are paper. Great for Thanksgiving, Halloween, & Fall décor!!! *********Please let me know at checkout what colors you would like your wreath and ribbon to be, and I will make it for you! 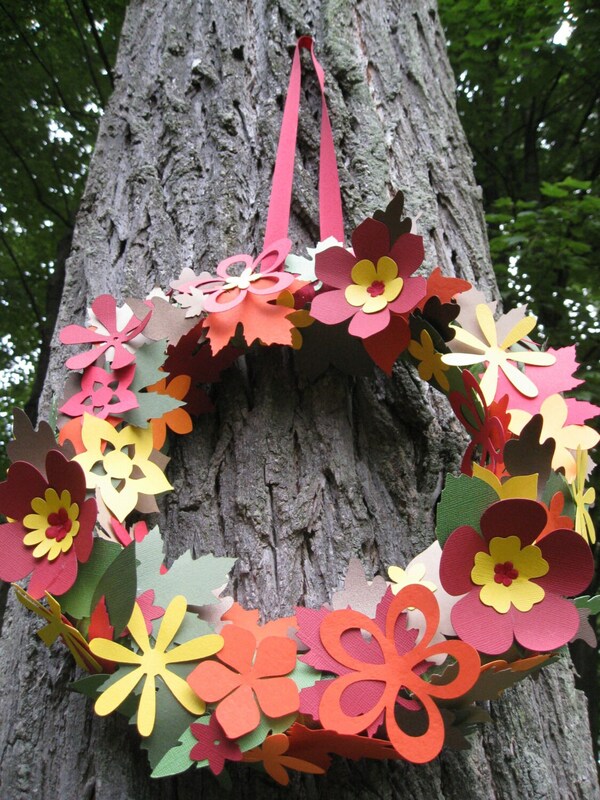 ***** Allow a week for the production of each wreath.